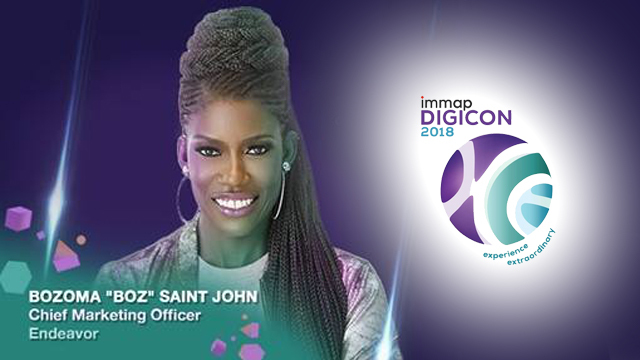 So said Bozoma Saint John, the chief marketing officer of multinational entertainment group Endeavor, in her keynote speech discussing brand marketing in the current marketing landscape. Her talk kicked off Digicon 2018, a three-day conference on various digital topics organized by the Internet and Mobile Marketing Association of the Philippines (IMMAP). Saint John talked about the experience economy, or the push for businesses to build relationships with their audience through meaningful experiences. She shared her experiences in leading the brand marketing of Apple Music and Uber in the U.S., and she highlighted that at the heart of succeeding in the experience economy is understanding emotion, both in the customers’ side and in the brand’s side. In fact, Saint John said that feelings are comparably important to business models and strategies as data and statistics. Instead of relying solely on hard numbers and analyses, she recommended the audience to assess how their customers react to their products and services as these reactions are what would resonate with them and ultimately market the brand. A feelings-driven brand also has to move away from trying to appease everyone and making it more personal. She recommended treating the business as if it were a person with its own feelings, behaviors and reactions. Over 3,000 delegates from various industries are expected to attend Digicon 2018, which features 80 speakers across three days. It is the third year that IMMAP has held the conference, and this year’s sessions focused on three tracks revolving around the experience economy: user experience, customer experience and brand experience.